Rev. 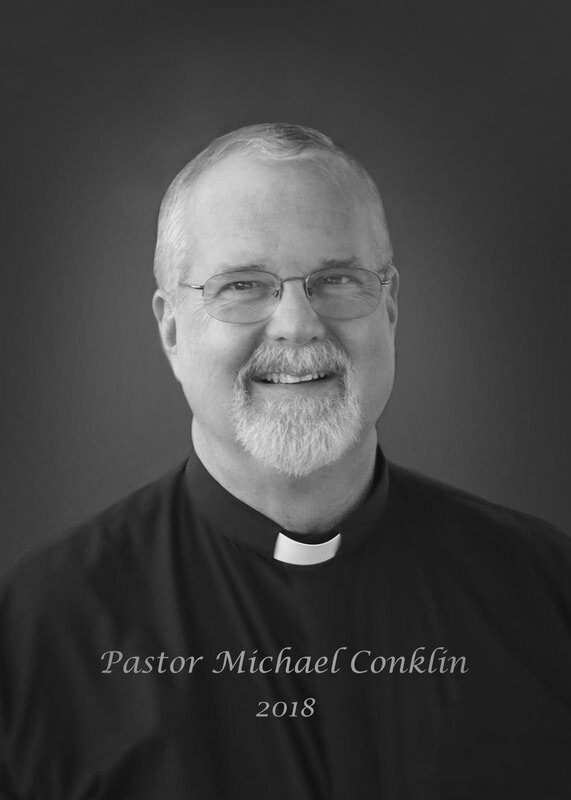 Michael Conklin (Pastor Mike) was born in Ann Arbor, Michigan and attended Capital University and Trinity Lutheran Seminary in Bexley, Ohio. He has been married to Michelle for 35 years and they have three daughters. Monica who also graduated from Capital University with a degree in Social Work and is attending Cornerstone University to gain her Master's degree. Megan and Marisa (twins) are Seniors in High School. They have an 8 year old black Labrador named Ziggy. He is excited to be at Mamrelund and see where the Spirit of God is going to lead us and always trusts that God’s got this! His innovative and and creative preaching style using multi-media holds your attention and you never know what to expect. He loves to teach and do bible studies and always brings something new to the discussions.